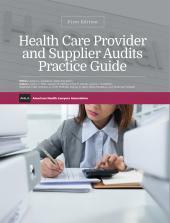 Anyone who needs an understanding of Medicare, Medicaid, and commercial payer audits and overpayment demands will find "Health Care Provider and Supplier Audits Practice Guide, First Edition" a useful guide. The U.S. Department of Health and Human Services' Center for Medicare and Medicaid Services (CMS) has used independent contractors to audit providers and suppliers for improper payments, and this use has increased exponentially over the last few years. It can often be difficult to determine if a contractor has exceeded its authority as not all Medicare contractor authority is publicly available, and CMS and the states haven't clearly identified where Medicaid contractors' authority is defined. 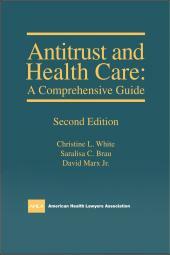 Health Care Provider and Supplier Audits Practice Guide, First Edition is a useful guide to understanding the intricacies of the Medicare, Medicaid, and commercial payer regulatory environment. 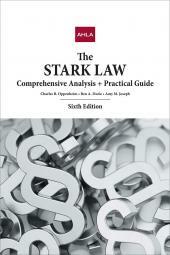 Anyone who needs an understanding of Medicare, Medicaid, and commercial payer audits and overpayment demands will find Health Care Provider and Supplier Audits Practice Guide, First Edition a useful guide.